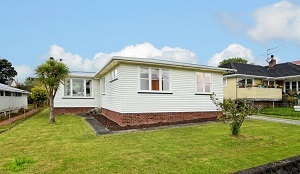 This three bedroom house in Mt Albert sold for $1.06 million. Bayleys sold 19 of their 33 auction properties in Auckland in the week to November 20, with the remainder being passed in or withdrawn, giving a clearance rate of 58%. In the Waikato, Bayleys' Hamilton office sold three of their seven auction properties, giving a clearance rate of 43%. Among the Auckland sales was a Plain Jane three bedroom house (pictured) on the western fringes of Mt Albert that sold for $1.06 million and a two level, two bedroom character apartment in the historic George Courts building on Karangahape Rd that sold for $800,000. In the Waikato all of the auctioned properties were rural and sales included a three bedroom house on a 2799 square metre lifestyle block about 10km from Ngatea that sold for $355,000. Can we have the Canterbury results as well, Greg?